THE true value of education is a life full of options. Such options can be realised in an education system that encourages young minds to imagine new futures and become problem solvers, that is, creators of new business enterprises rather than being trained to seek existing jobs. Some countries, such as Nigeria and Kenya, have long discovered this important piece of tackling the youth unemployment puzzle. These countries are deliberately equipping their young generation with entrepreneurial skills from as early as Grade One. Both countries have long made entrepreneurship training part of their school curriculum, with vested interests in instilling vocational as well as information and communications technology (ICT) skills at a very young age. From as early as primary school, Eswatini’s education system needs to make it clear to pupils that Eswatini’s corporate world has very limited jobs on offer. With the reality of about one in two young people unemployed in Eswatini, it is up to each pupil to deliberately use their education journey as a calculated means for solidifying their ideas on new business enterprises they will have to create if they want to participate in economic activities, generate income and create wealth. The labour statistics do not lie. According to the 2016 Labour Force Survey, the working age population consists of 738 799 people, 49.4 per cent of whom are out of labour force which includes 147 927 fulltime students while the other 206 650 are able-bodied individuals who have just given up or lost all hope of employment. In other words, the labour force consists of a meagre 373 863 people, 23 per cent of whom are officially unemployed. On the demand side of labour, a 2017 FinScope Survey reports that Eswatini’s private sector hosts about 9 219 mature small and medium enterprises (SMEs), each employing about four people on average, which translates to 36 876 people. In addition, the country has 24 759 emerging SMEs, employing on average just one person for a total SME employment capacity of about 24 759 people. With a limited SME base that could absorb the majority of Eswatini’s unemployed labour, the prospects for economic growth are fickle. 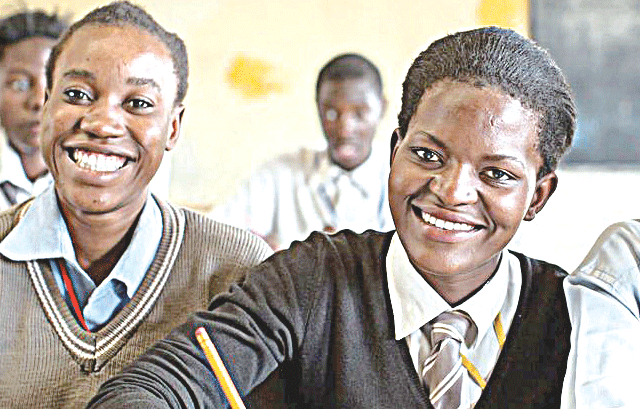 An ESEPARC study conducted in collaboration with the Taiwan Technical Mission, found that about 16 000 young people complete high school each year, with less than 40 per cent able to secure a place in Eswatini’s tertiary institutions. Moreover, the ‘youth bulge’ means the country’s population is growing faster than jobs are created. Simply put, there aren’t enough jobs to absorb all of these young people the education system keeps churning out every year. This calls for urgent strategies and public policies that can transform the economy, reignite economic growth, and capitalise on Eswatini’s youthful population. Do not make the mistake of confusing entrepreneurship with business studies. Current business studies curricula, by and large, teach pupils how to theorise about business and how to manage or operate business ventures created by other people. It prepares them to fill positions in already existing business enterprises. It does not place the pupil at the centre of the business creation and development, such that we have a lot of Masters in Business Administration graduates applying for jobs only just so they can get the opportunity to run other people’s businesses, never even for a second thinking to start their own. Of course, it is much too risky to venture into one’s own business enterprise. Getting a job in corporate Eswatini comes with a false sense of job security, a steady paycheque, and a cushy office desk and chair. It is the dream of almost every young child in Eswatini. Though its definition is somewhat contentious, the concept of entrepreneurship generally refers to the generation of new ideas, characterised by innovation and risk-taking, and it is an essential part of a nation’s ability to succeed in an ever changing and increasingly competitive global market. Entrepreneurs are, by nature and definition, job creators and not job seekers. However, if they are not fully equipped with solid business skills to run their enterprises, chances of success become limited. In Eswatini, a majority of entrepreneurs lack business management skills, which need to be instilled while they are still young and willing to learn. Entrepreneurship education should nurture skills on how to find opportunity in different problems, how to take calculated risks, and how to materialise ideas into practical business enterprises. Entrepreneurship can offer alternative pathways for young people, improving their skills, and self-employability while supporting wider social and economic development goals. Entrepreneurship is increasingly being recognised as the integral part in our daily lives; entrepreneurs grow new businesses, introduce new technologies and products providing employment solutions to the ever changing global business environment, as well as keep the economy going even after economic downturns. Austrian economist Joseph Schumpeter, who is acknowledged as one of the pioneers of entrepreneurship, posits that economic change and growth revolve around the nexus between innovation and entrepreneurial activity. This is true, considering that entrepreneurs establish new business ventures with advanced technologies to creatively disrupt the status quo of established industries. That is the reason we are at the cusp of the fourth industrial revolution and without our own entrepreneurs, Eswatini will completely miss out on this technology charged economy of future. Despite several efforts to capacitate young entrepreneurs through business management training, access to finance and incubation through the Royal Science and Technology Park (RSTP) and the Small Enterprises Development Company (SEDCO), businesses owned by youth are failing. A majority of young people do not see business as a financial freedom, but a temporary measure as they wait for something more secure - a corporate job - to turn up. The passionate ones are struggling for survival and competing for government tenders. Maybe the country should worry that it is a harbour of ‘tenderpreneurs’ instead of entrepreneurs. But not all is lost; the ministry of education recently revised the National Curriculum Framework for General Education to be rolled out this year. Enshrined in the curriculum is entrepreneurship as an elective for junior and senior secondary levels. It would be quite meaningful if entrepreneurship is introduced as a core subject crosscutting along all fields infusing business tenets at an early age. However, it should not just be a theoretical subject but a practised or lived experiential course. On the other hand, Junior Achievement has done a commendable job in promoting the culture of entrepreneurship among high school pupils. As an extra curricula activity, JA provides a programme on hands-on entrepreneurship and financial literacy, drawing on partners in the private sector, academic institutions, and the government. However, offering the programme does not make entrepreneurship a compulsory subject and only a few schools support this initiative. Primary school children are not offered this privilege yet it could be a solution to change the mind-sets of the future job creators. As with all skills, from literature to dance, learning to be entrepreneurial builds upon inborn traits or ability to imagine. For example, while learning to read and write, our natural ability is to babble, then from those noises we learn to form words, which we use to create sentences to make conversations. And so, entrepreneurship is an art that can be learned and practised. Many believe that most businesses fail because entrepreneurship is an inborn trait that cannot be taught. Evidence suggests otherwise. Entrepreneurship is not about quirky maverick personalities and entrepreneurial charisma; it is actually a skill that can be learnt overtime. Eric Ries, entrepreneur and author of ‘The Lean Start-up’, postulates that entrepreneurship is a new form of management that can be defined, measured, and learned. Let us teach our young generation to engage in the conversations of entrepreneurship. Entrepreneurship tenets need to be firmly embedded in the primary and high school curricula. This equips children with essential foundational knowledge and skills such as emotional intelligence and risk taking; it also develops their appreciation for self-employment opportunities. This means when such children find themselves in a situation where they are unemployed, they do not give up and succumb to self-pity. The country needs to recognise entrepreneurship as ‘everyday action’ (not a theoretical subject) in order to improve the economy. Henceforth, our youth needs channelling away from the “find-a-job” mentality to “what business will I start when I obtain my certificate?” mind frame. About the authors: The authors are researchers at the Eswatini Economic Policy Analysis and Research Centre (ESEPARC). They write in their personal capacities.